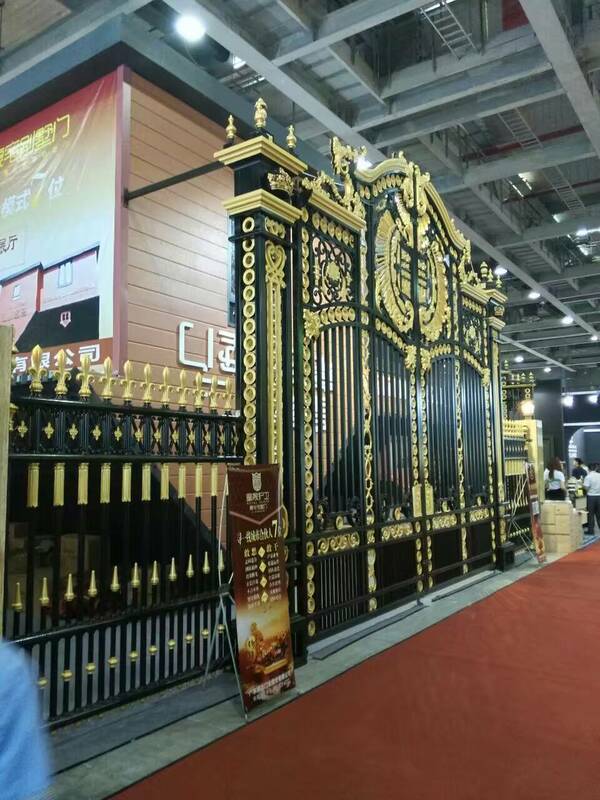 The gate of Guangzhou Royal fair is successfully closed. In this hot summer, the Guangzhou construction Fair also lost its curtain in a hot atmosphere. The Royal guardians luxury villas gate has also been actively involved in this exhibition. In the layout of the booth, a unique Royal Guard brand is added to the flagship store marketing mode. The launch of the flagship store is the first creation of the domestic building materials industry. This idea can naturally attract the attention of many people. This idea is mainly aimed at the current high rent of home stores, and the difficulties faced by the franchisees in the door industry, and the opening up of self built display channels. 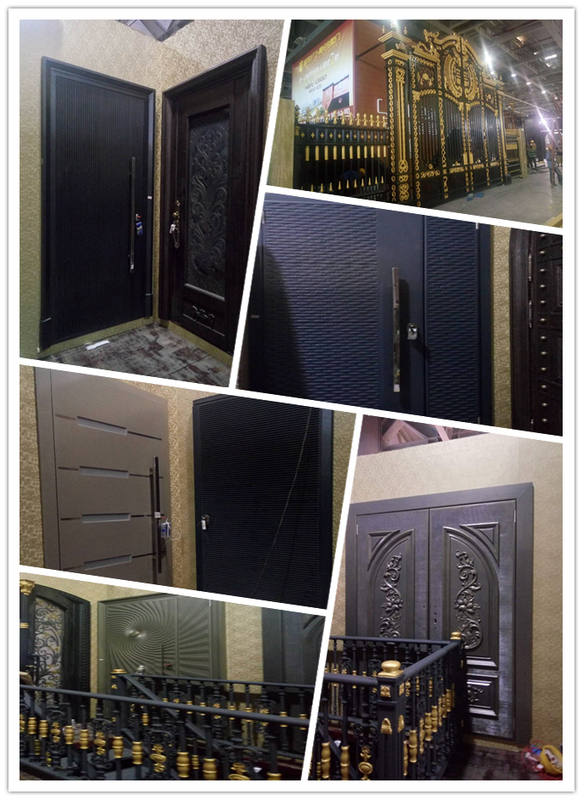 The Royal Guard villa door series adopts excellent environmental protection alloy, pure copper material, molded precision casting, and whole board numerical control carving technology. Unique outdoor product spraying equipment and paint processing, eradicating the iron products rusty durable defects, with ultra strong moisture proof, anti ultraviolet, anti impact, anti violent damage and other functions, after-sale maintenance free, long lasting. We constantly improve and upgrade the products, the precision casting of accessories and the numerical control carving of flower parts, which strengthens the door body anti-theft function and breaks the traditional welding process. The design of the Royal guardians has Chinese, European style, exclusive design, a number of national patents to meet the different needs of high-end consumer groups, numerical control carving technology to make the product more delicate and unique. 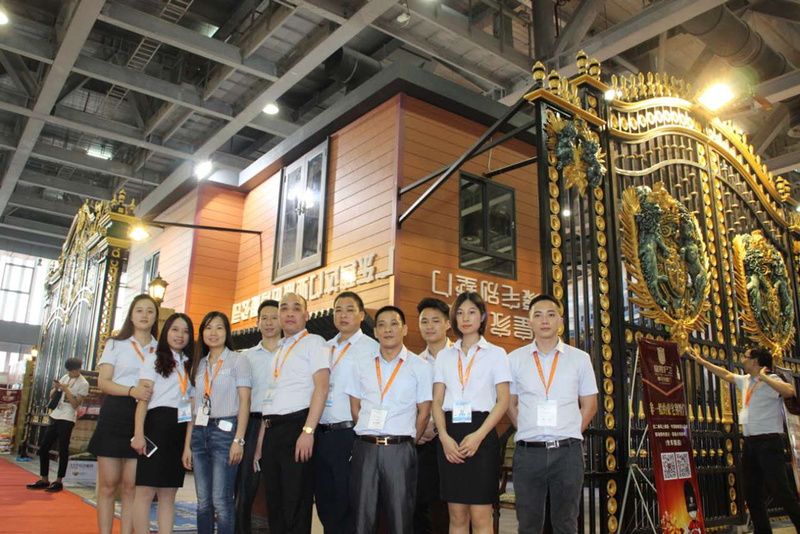 The Royal Guard mansion and villa door team, after systematic training, not only to product process, product technology, material has a deep understanding, but also have the spirit of service. 下一页：Celebrating the gate of the Guangdong steel door Association vice president of the company.